The prominent Swiss artist Markus Raetz works across a variety of media, but printmaking constitutes a major part of his work. 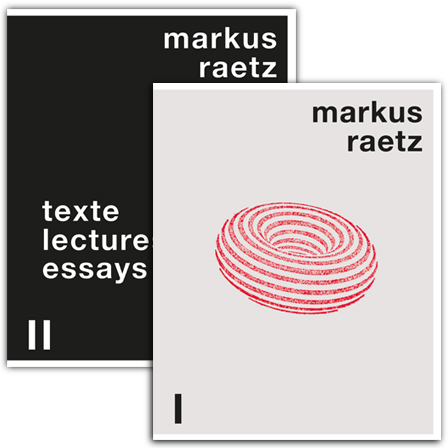 The most comprehensive collection of his prints to date, Markus Raetz. The Prints expands on a previous edition, which covered the years between 1957 and 1991, with the addition of further early and recent works. The rest of the content has been fully revised, and the book comes with a new collection of essays on Raetz’s life and work. Together, the two new volumes explore the artist’s major themes, particularly the phenomenon of perception as opposed to the means of representation. The publication of Markus Raetz. The Prints coincides with a major exhibition of Raetz’s prints and sculptures at the Museum of Fine Arts in Bern, Switzerland (31 January to 18 May 2014) and the Musée Jenisch in Vevey, Switzerland (26 June to 14 October 2014). A Raetz completist’s dream, this work authoritatively documents a printmaking career that spans from the 1960s to our own historical moment. was director of Musée Jenisch in Vevey, Switzerland, 2013–18. She is a member of Switzerland's Federal Art Committee and has published widely, on the art of drawing in particular. , born 1943, art historian and specialist in prints, has been curator of prints at the Museum of Art and History in Geneva 1979–2005. , born 1967, read art history, ethnology, and modern history at the University of Zürich. She has been a curator and in charge of the collection of prints and drawings at the Museum of Fine Arts in Bern since 2005.